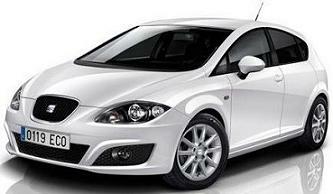 The Leon Ecomotive comes equipped with one of the most efficient and innovative engines in the LEON range; the 1.6 TDI. This marvel of engineering has seen further improvements to its electronic management; optimising the central unit and tweaking the gear ratios resulting in reduced CO2 emissions by 14.3% to 119 g/km. The addition of the Diesel Particulate Filter (DPF), fitted as standard, plays its part too by reducing the soot particle emissions of diesel engines to prevent harm to living organisms. Leon Eco Tech car offers are based on Car Leasing, 10,000 miles pa, 3 or 6 in advanced followed by 35. Business contract hire + VAT / Personal car leasing deals include VAT.